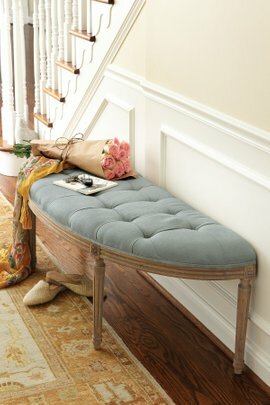 At Soft Surroundings, our ottomans and benches are more than just room accessories. These pieces often do double or even triple duty as seating, a place to put your feet after a hard day, or even as storage for the blankets, books, and magazines that we enjoy while relaxing.Our traditional and modern ottomans first and foremost prioritize your comfort. 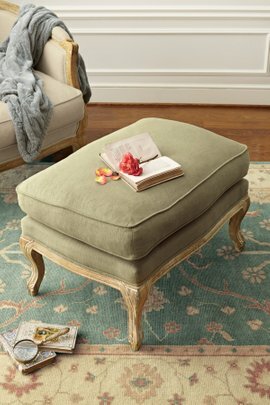 Made from soft textiles and a sturdy frame, these pieces will keep your feet and legs elevated so that you can enjoy your favorite book, television show, or even a short nap while sitting in your favorite chair or on your sofa.We also offer a range of Italian-influenced benches that you can use as an ottoman or as seating in your front hall or foyer. Another option is to place a bench at the base of your bed, providing you with a convenient place to lay out your clothes for the next day.